Hidden milled pockets for Tecan deck compatibility, option for portrait mode, pockets don’t go through the plate for easy cleaning. 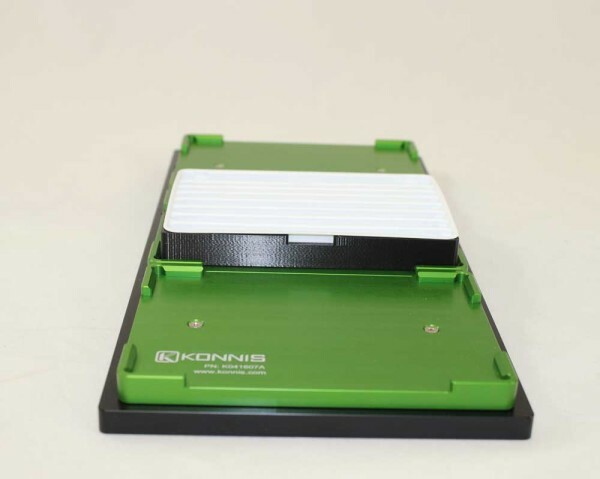 The standard Konnis Microplate Carriers are modular with a black base plate that acts as the deck adapter with either nests or other carriers attached with screws. This design allows for a consistent base plate that can have various carriers and adapters mounted on top. 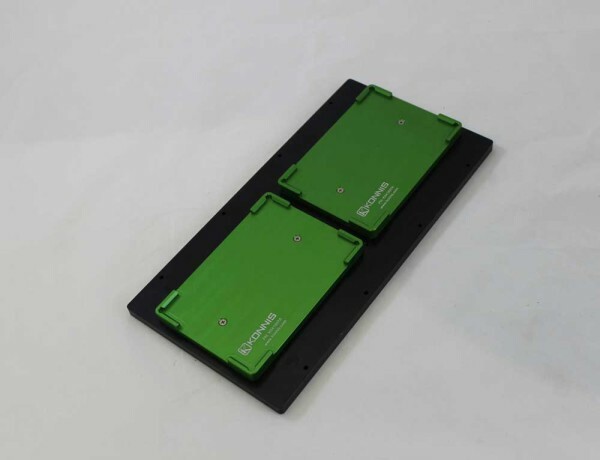 The most common is the microplate nest, shown in both green and blue anodized. 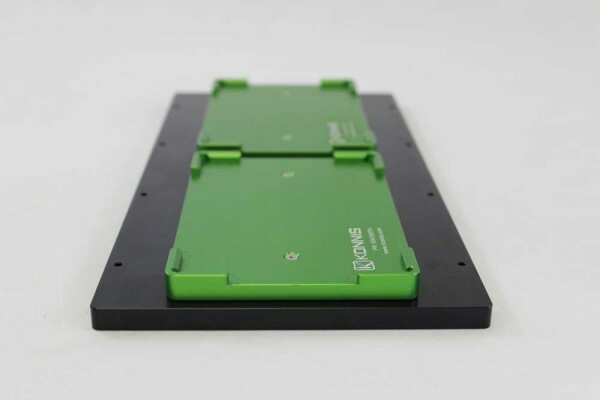 The flat microplate carrier comes in 4 position and 3 position configured as landscape and 2 position portrait. 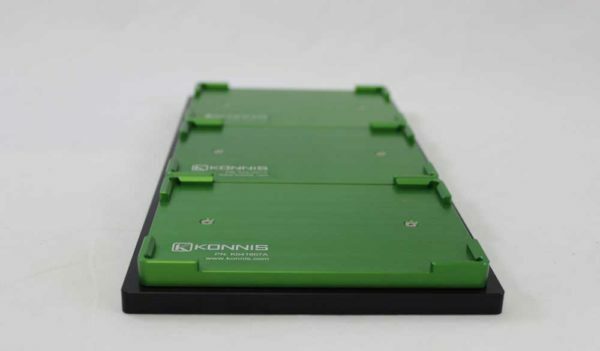 Konnis has also designed an all in one milled carrier. Shown here color coded to reduce human error in a complex assay. Step by step instructions to set up carrier for EVOware or Gemini. Values provided below are for reference and provided for research purposes only. These values are a starting point, all values should be double checked on the system after carriers are placed on the deck. 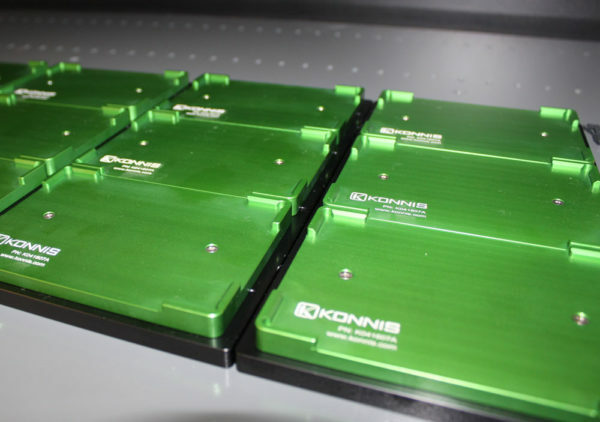 If you have any question please contact Konnis at service@konnis.com or 800-423-5110. Instrument reference sites must be set up properly.